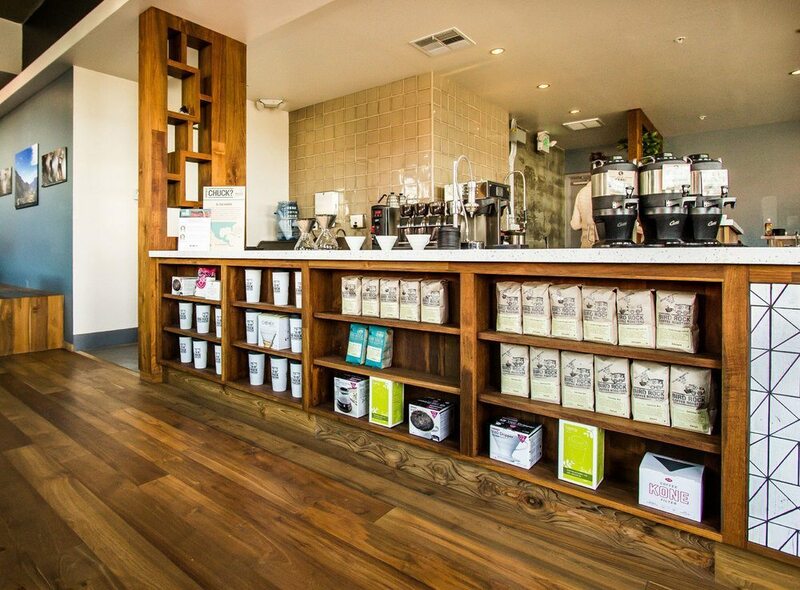 Bird Rock Coffee Roasters in La Jolla California has dedicated themselves to making the finest coffee humanly possible. Is that always obtainable? Well, that’s not the point, the point is to strive for greatness and to push yourself, your business and your sources to make the best possible product that you are able. Bird Rock Coffee Roasters has been doing that since they opened their doors in 2006. Chuck Patton has turned a humble coffee roasting business into a hustling retail outlet of three locations and is now considered to be one of the top 30 coffee makers in the country. Patton’s commitment to quality shows, not only in his delicious brews, but also in who he chooses to do business with. They go beyond the eco labels supporting direct-trade which allows Bird Rock Coffee Roasters to pay for coffee based on the quality of the product, something that is not guaranteed by eco labels. Another difference between Patton and the big guys at other huge chains is that he will buy coffee that is responsibly sourced and strives to develop relationships with the farmers directly to ensure full transparency of the buying process. The benefit? Important feedback from Patton to the farmers, letting them know when they are producing a great crop of coffee. Did I mention that Patton is happy to support causes that mean something to him and his brand? Throughout the year, he will use different coffees to highlight and raise money for causes in origin countries. Some of the proceeds from the sale of this coffee, then, go directly to the cause. For example our Beyond the Surface blend raised awareness and funds for the non-profit surf school. If you go into his business and have a “cause coffee” a portion of that money goes directly to the cause. It’s that type of commitment to transparency, sustainability and a philosophy of giving that paired well with IndoTeak Design. 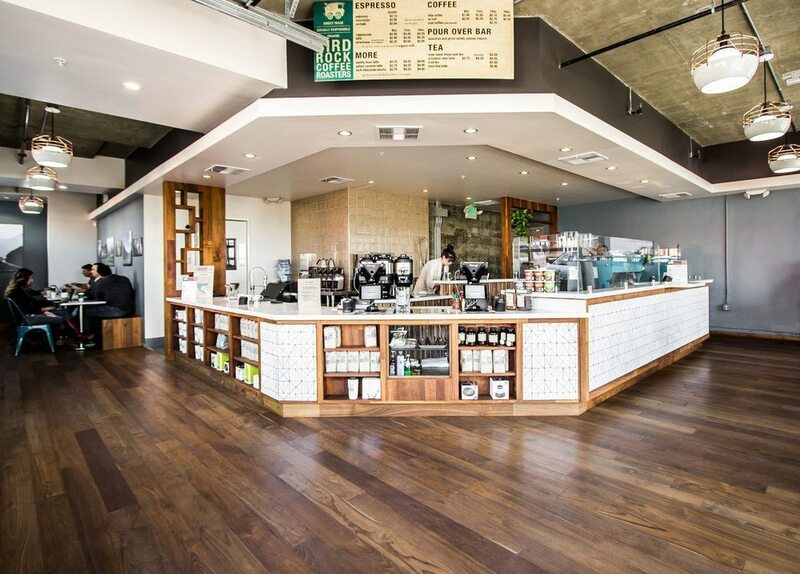 Last year we were proud to work on Bird Rock Coffee Roasters premiere location in their new Little Italy, San Diego location. 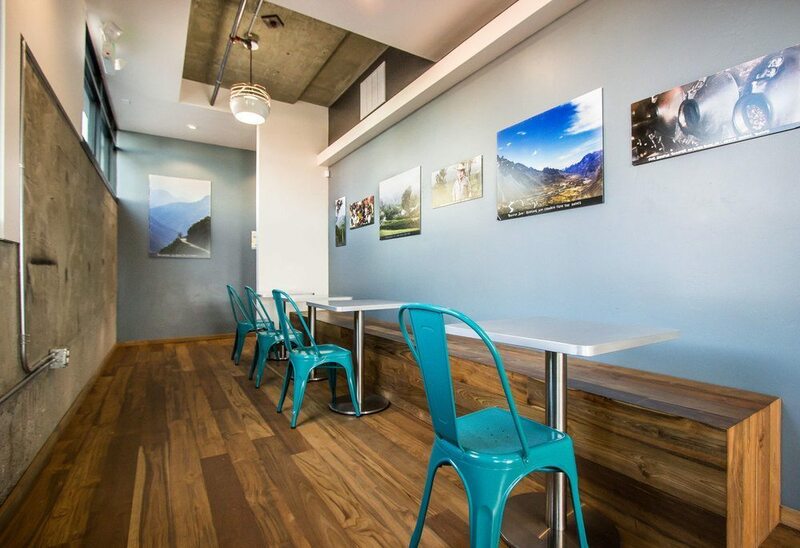 Do yourself a favor and drop into this location to not only see some of our work, but to also sample a taste of real coffee from a real good business the deserves every accolade it has achieved.